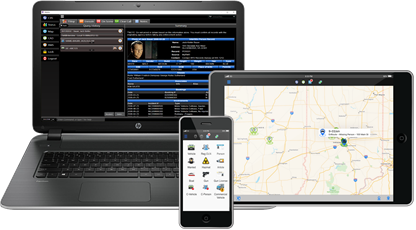 Law enforcement agencies benefit from faster access to critical information necessary to protect the community and increase tactical awareness with access to NCIC, motor vehicle, and other databases on smartphones – anytime, anywhere. PocketCop utilizes the same architecture that supports the Mobile Cop application. 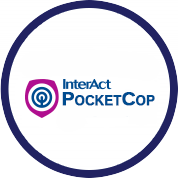 PocketCop’s powerful software is built to provide immediate access to CJIS data sources including local, state, and NCIC sources, providing users with clear, actionable, parsed information from hundreds of agencies and resources to empower users at the point of contact. Automatic search on driver’s license barcodes via the device’s camera. Ability to send and receive pictures and share device location via secure chat. Control user access to application features via role-based security. Reduces time on the radio communicating calls for service. Faster dispatch and updates through CAD integration. Real-time updates in which users are available for calls. Obtain data and critical information from multiple public safety agencies and jurisdictions without separate logins. Share local records management systems (RMS) and Jail Management Systems (JMS) data at the point of enforcement. Returns include all participating agencies’ RMS and JMS records in addition to the state CJIS system, NCIC, and Nlets data.